So, I’m in the car on my way home, fumbling through the different radio stations, trying to find something good to listen to. For some reason, each station has been playing the same song today on repeat. I wish I was exaggerating. 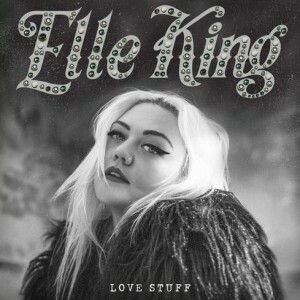 Then, I end up on a station that is playing “Ex’s & Oh’s” by Elle King and I’m obsessed. Of course, I had no idea what the song was, but I loved her voice within the first seconds. I quickly got my phone and asked Siri to listen in and tell me the name of the song (I wasn’t driving, so this was totally legal). And almost immediately I downloaded the song from iTunes. I love the rock vibe of the song and King’s husky vocals. The song has just a badass attitude to it, with catchy lyrics and a great beat. After the song finished, the radio DJs (there were like three), were like “that song is cooler than all of us combined.” I especially appreciated the title…”Ex’s & Oh’s”…sounds like XOs, get it?